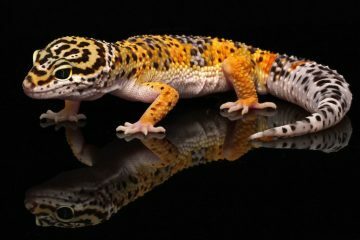 Leopard Geckos can be very cute to keep as a pet but taking care of one is a totally different thing. 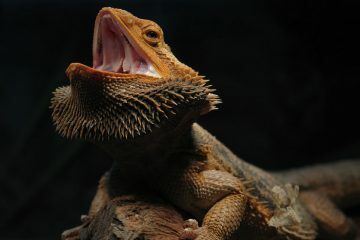 Lizards like this require an ample amount of space to move in in order not to be bored. That’s why it’s necessary to have tanks with around a 20-gallon capacity for your leopard gecko, as they would need to move around freely in order to be happy. 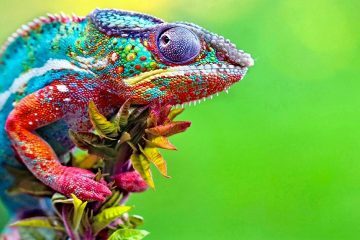 These type of geckos do not have the adhesive lamella that most other lizards have. These are the sticky pads on their feet that allow them to stick on most surfaces. Instead, leopard geckos have claws that aid in their movement. That said, leopard geckos are better suited in tanks since chances of them climbing out are pretty low. 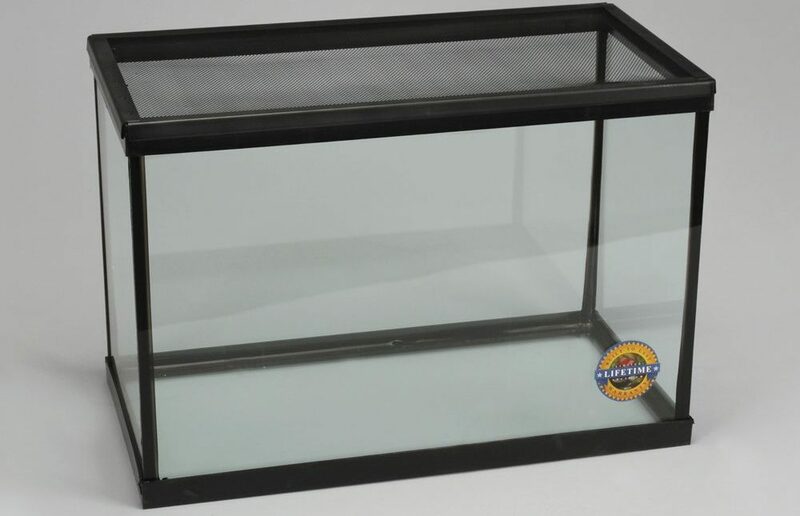 If you’re looking for a tank for your cute crawler, then check out our reviews for the top 3 20-gallon tanks for leopard geckos. This tank is pretty straightforward and does not need any explanation. It has a carrying capacity of 20 gallons and measures 24” x 12” x 16”. The tank does not come with anything at all so you’re free to include whatever decorative materials you want. 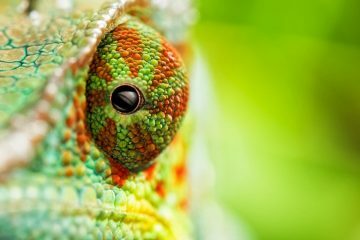 This not only allows you to customize the entire habitat, but also allows you to veer away from those pre-made ones that offer little shelter for your geckos. 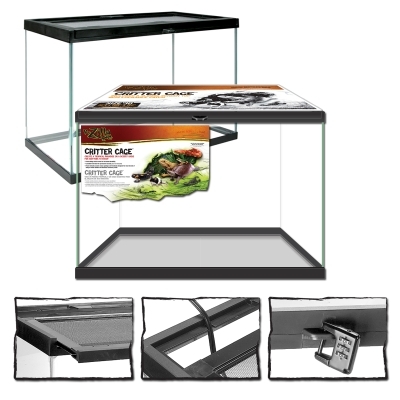 The Zilla 28020 is a 20-gallon critter cage that measures 24” x 12” x 16” as well. Like our previous item, this tank does not contain any packaged decoration and is just the tank itself. You can do your decorations very much how you like them and that’s the beauty of getting tanks like these. 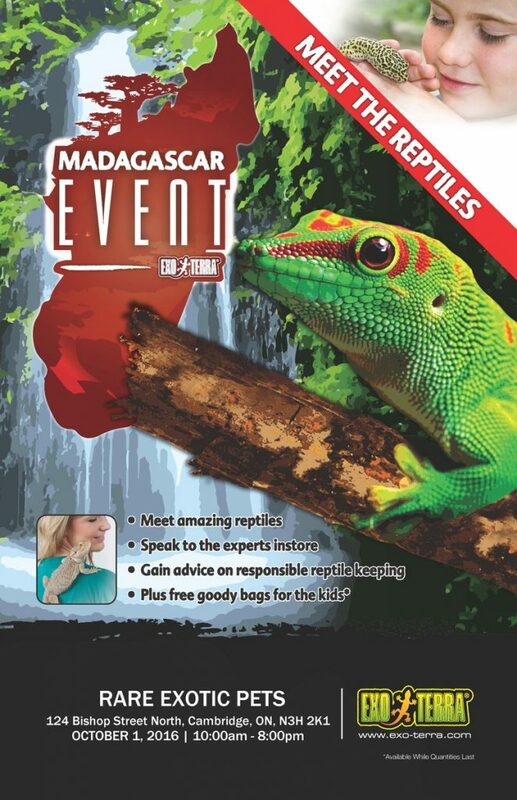 The top part of the habitat is an escape-proof mesh which prevents any runaway gecko scenarios. This is also reinforced with their safety locks for added measure. It also features a sliding top for easy access and cleaning, so you never have to worry about hard-to-clean boxes again. The cage is also designed for water bottles and wired accessories for added comfort for your pets. The sliding top also comes with a strong self-aligning system which removes the hassle of jammed doors that allow pets to escape. 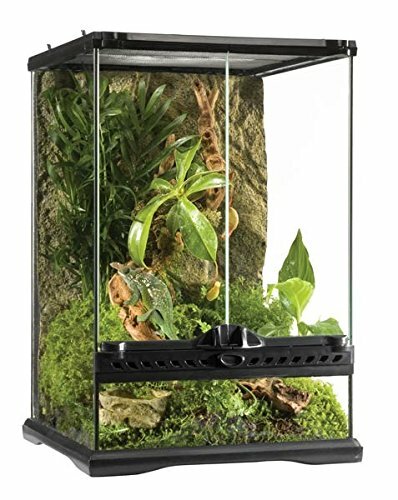 Although there are many sizes of the Exo Terra Allglass Terrarium, the “small wide” version is very close to the size you need at 18” x 18” x 18” which is roughly around 25 gallons, bigger than our previous items. It has a patented front window ventilation and a mesh screen top that allows for a continuous flow of air and increases ventilation of the tank itself. The front has dual escape-proof doors that allow easy maintenance and cleaning of the cage. There are also inlets for wires and for tubing management on the tank so you’re still given the option to add details as you see fit. If you want a bigger environment, Exo Terra also provides larges sizes of this cage up to 65 gallons. Apart from that, it also looks more stylish as compared to the previous 2 items on our list that only look like regular tanks. A good tank is hard to come by, especially if it’s for a picky pet like a leopard gecko. 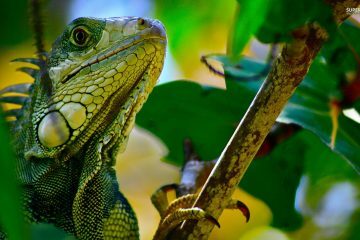 You have to take extra care in choosing a suitable home for your lizard as is absolutely needs a home that it can roam around in to not feel too constricted and stressed.